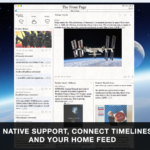 Happy to introduce our latest app, designed for MacOSX, Front Page allows you to setup and customise your very personal newspaper ! Configure categories of news from RSS and Twitter sources so to have your daily news highly customised and always up to date. 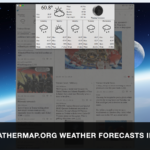 Integrated Twitter api allows you to plug timelines, lists and even your home feed into one or multiple news categories, native like and retweet buttons allow you to interact with tweets, and an integrated web browser grants you access to twitters full power while OpenWeatherMap.org data provides weather forecasts at your fingertips. 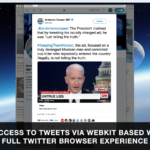 – Integrated Image viewer for tweets and feeds images. 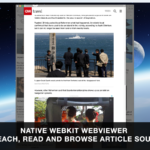 – Integrated webkit web browser with “private” mode support. 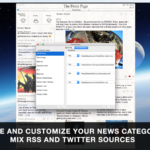 – Large builtin library of RSS feeds to immediately start composing your newspaper. 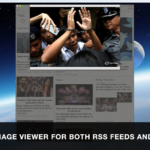 – RSS support integrated into OsX, click on RSS feed links in your favourite browser and add them to Front Page library.